December 21, 2016 (San Diego)--The holidays can be a joyous time, but only if you prevent winter weather-related house fires. 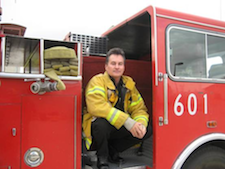 November 15, 2012 (San Diego) – Fire prevention and flu prevention stages? We just changed our smoke detector batteries with daylight savings this weekend for fire preventive measures. Flu season is among us and like fire prevention, it’s important to take cold/flu preventive measures. Emergency rooms become saturated this time of year due to those with the flu. Unfortunately this may delay those that have significant health/medical issues or injuries from getting treatment quickly according to Fire Chief Sam DiGiovanna. June 9, 2010 (Spring Valley) – Clearing brush with a metal-bladed weed whacker set off sparks which caused today’s four-acre blaze on Dictionary Hill in Spring Valley, said Leonard Villareal, spokesman for the San Miguel Fire District. 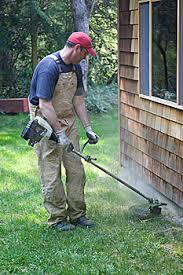 “Metal blades are not a good idea for cutting weeds,” he said, adding that plastic strips or blades are safer. Ironically, clearing brush, while important to create defensible space, can actually cause a fire if caution is not taken. Villareal also warned against spilling flammable gasoline while refilling gas-powered weed cutters. October 5, 2009 (Alpine) – On Thursday, over 250 school children will join firefighters, tribal representatives, Smokey the Bear and Sparky the firedog from 9:30 to 11:30 a.m. for hands-on learning about the importance of fire safety. The event, held at Viejas Recreation Center in Alpine, is being held in conjunction with National Fire Prevention Week. Sunbelt Publications, San Diego. 2008. 232 pages, illustrated, color plates.